Sensex at 31,000 and Nifty above 9,500 – what should you buy? In these times, the best investment would be to buy “Riding The Roller Coaster – Lessons from financial market cycles we repeatedly forget” and read it. Timing the market or buying cheap? A few days ago, we wrote a blog post Timing the market …. I got a call from a friend, Priyesh Sampat, who read the post and had a question. He asked about a certain strategy adopted by some financial advisors, which changes the allocation between equity and debt based on the P/E ratio (or P/BV ratio) of the market. Even some fund houses have schemes that change the allocation between equity and debt based on certain valuation parameters. I did not refer to such a strategy, which I would call tactical asset allocation strategy based on market valuations. Market timing generally means getting completely out of a scheme or an asset category based on a negative view. In case of tactical allocation, one would change the allocation but not reduce the same to zero. Stock markets have enormous amounts of data and hence we decided to take an example from that market. We have taken the PE ratio as an indicator of valuation and the Nifty Total Return Index as a proxy for the equity asset class. The PE ratio is derived by dividing the current market price of a share by the profit per share of the company. Since both these are mentioned on a per share basis, one can also calculate the PE ratio by dividing the company’s market capitalization by the profit generated by the company. The higher the ratio, the more costly the share; and lower the ratio, the cheaper the share. The PE ratio is a function of too many parameters in case of a company and hence it is very difficult to generalize the above line while comparing two different companies. At the same time, when we are looking at a broader (diversified) index, the PE ratio could act as an indicator of valuation of the overall market or a segment of the same. Over the last two decades, since the inception of the National Stock Exchange, the PE ratio for the index has moved between roughly 9 at the bottom to 29 at the top. The Nifty Total Return Index (TRI) is constructed using the same composition as the CNX Nifty Index, with the dividends paid by the companies reinvested in the index. Thus, the Nifty TRI could be helpful to calculate the total returns generated by the index – the sum of both the change in the index value plus the dividends thereof. Below is a graph of the 5-year return from the Nifty TRI against the Nifty PE ratio at the start of the investment period. It is clear from the above chart that investments made at lower valuations have generally delivered higher returns. However, if the investments have been made at high PE ratios, the future returns have been lower. The folly of forecasting, a volte-face, summersault – you may use any adjective to describe this, but those who followed are hurt real bad. And still, the more things become unpredictable, the more we want to know the future. So long as we expect to know the future in advance, the forecasters are in the game. We keep feeding them by expecting them to predict. They only supply something that a large number of people demand. Incidentally, we had done a similar post on December 22, 2015. A sheer coincidence that not just the volte-face, but the surname too is quite similar. 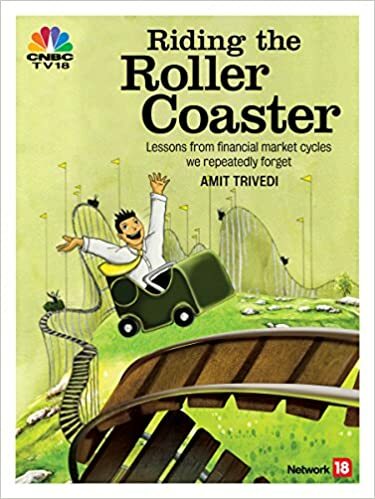 Read the book “Riding The Roller Coaster – Lessons from financial market cycles we repeatedly forget” to know more about the folly of forecasting.